Alexander leads the Industrial Practice focusing on Energy, Oil & Gas, Metals & Mining, Machinery, Chemistry, and Production. Functionally Alexander is experienced in searching for candidates in Strategy, Operations, Sales, Supply Chain and Logistics roles. 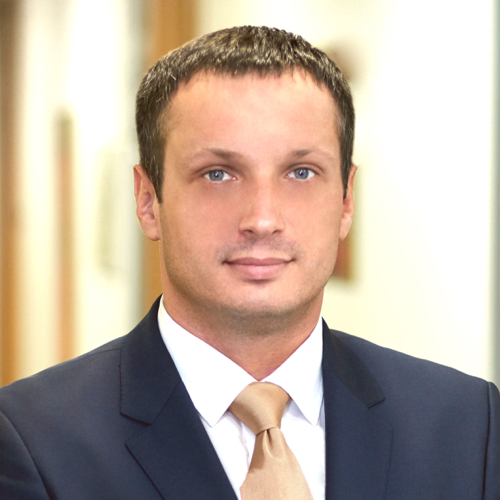 Alexander also runs assignments in Investment Banking, Private Equity, and Asset Management. Alexander has been working in the executive search area for over ten years. Prior to joining Stanton Chase, he worked at top-tier executive search and talent equity consulting companies. He also worked as HR Director at an investment bank. Alexander graduated from the Kiev National Linguistics University and then completed a post-graduate programme in social psychology at the Taras Shevchenko National University in Kiev. Alexander is a certified Hogan Assessment Tools expert. He is fluent in English.